I think the time has come where Google Now may have overtaken Siri. Today Google Now received a massive update, one of the biggest things that Google Now can do which Siri greatly lacks is the hands-free mode. Starting today, you can simply say “OK Google” and Google Now will be activated and you can continue with whatever you wanted to do. This is a must-have update, so go ahead and download Google Now 3.1 from the App Store. Besides the hands-free mode, Google Now update brings some other major improvements too. Google Now 3.1 now brings reminder notifications to your iPhone and iPad. Simply ask Google Now to remind you to do something such as “remind me to call (friend name)” or “remind me to buy milk at the grocery store”, Google Now also as geo-fencing so it knows where your location is and will use it to remind you various things. You can also ask Google Now about your favorite movies, actors, musicians and much more. and Google will remind you at the right time or place. Just search and press the “remind me” button. 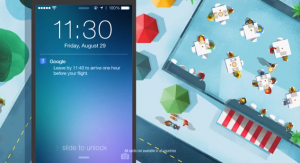 Check out the promo video of the new Google Now. Google Now and Siri are almost neck-and-neck, each with its advantages and disadvantages. But the one thing that Google Now has an upper-hand is the hands-free mode, which personally for me is by far the greatest feature of Google Now. It would be great if we can say “Siri” and Siri would be activated, but so far it seems that Apple might not introduce such a feature. Well which is you new favorite feature of Google Now? Has Google Now really taken over Siri? Comment away!